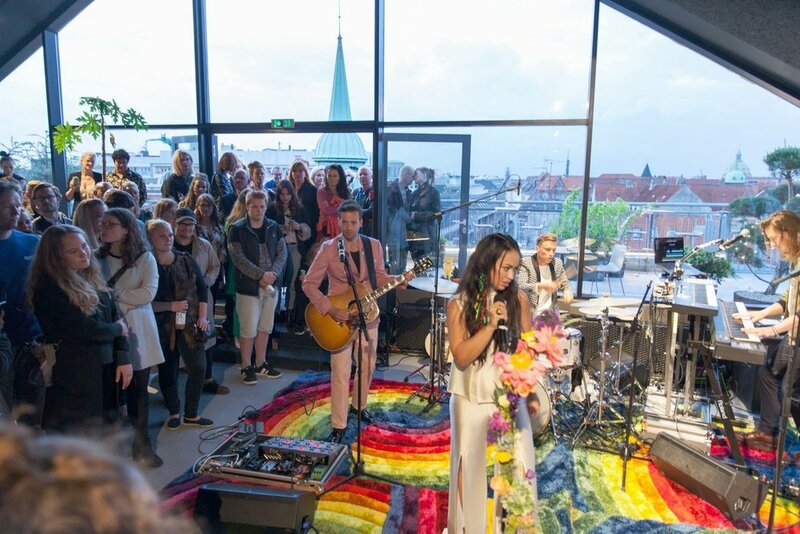 Last Friday saw the release party to one of Denmark’s most renowned stars, Aura Dione. 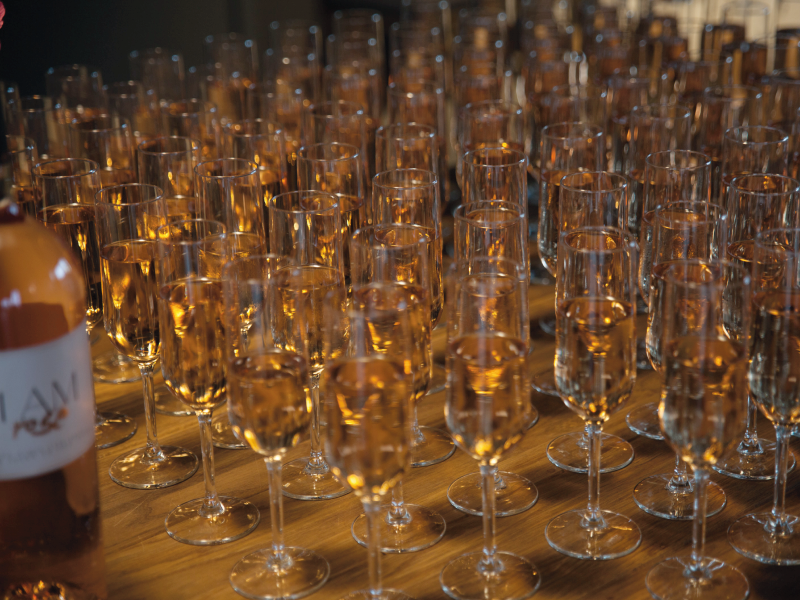 Hosted at the Frederica Furniture showroom in central Copenhagen, we provided a bespoke set up for the exclusive event, which welcomed around 150 VIP guests to the official launch of her new album ‘Can’t Steal the Music’. Artcoustic were proud to sponsor Sound for Aura's rainbow-themed live event, providing two of our bespoke Spitfire 16-8’s alongside 2 PS4 subs. 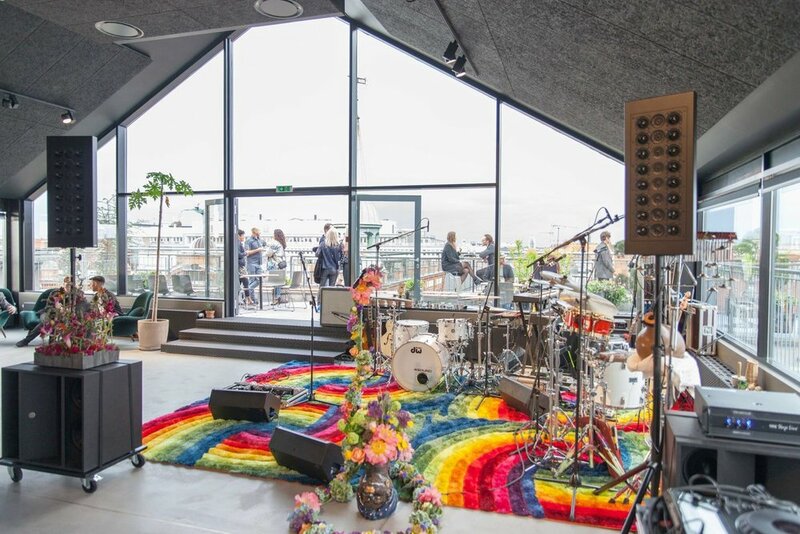 We also created Aura themed speaker covers for our two existing sets of SL 8-4 speakers that remain the permanent Audio solution as part of the Fredericia Furniture showroom, in Løvstræde in central CPH. Keep up to date via social media for future music collaborations with Aura and other artists alike. Newer PostOur new brochure has arrived!